Pioneers in the industry, we offer asada portable band saw up to - 4, 222 portable band saw onsite, 22f portable band saw onsite, 32f portable band saw onsite and asada portable band saw 10" - onsite from India. 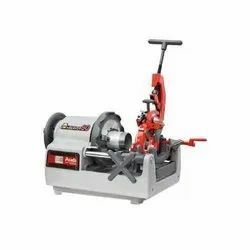 Band saw for cutting steel pipe,conduit pipepoly vinyl pipe,cast iron pipe,square pipe,round bar and alumimium frame. precise right angle cutting at high speed. easy to replace the saw blade from the front side. can cut a bundle of same material. protect a motor from burnout by over load protection. 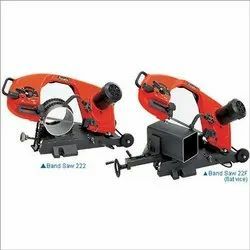 We are Leading Manufacture and Supplier in 222 Portable Band Saw up to 220mm. Fire Fighting ContractorsIndustrial Maintainance ContractorsMEP ContractorsSteel Fabricators-Angle,H beam,Round Bar,Square Pipes. We are providing the wide range of products to our clients as per the requirement. For Cutting Steel Pipe,H-Steel,Square Pipe,and Round Bar. 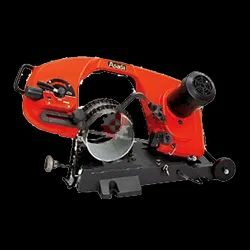 Portability of the machine enables cutting of large diameter and heavy steel pipe without moving. For cutting large diameter steel pipe, H steel, square pipe, stainless steel pipe, round bar at the site. 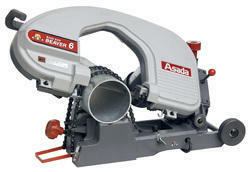 •Large Portable band saw machine with castors for easy transport to work site. •Right angle cutting of large diameter pipe is possible by oil dumper type load adjusting system. straight cutting, high-speed cutting, safe and no pollution no spark low noise and dry cutting. for cutting stainless steel pipe, steel pipe, conduit pipe, round bar, ms pipe and gi pipe.